The Winter Solstice has marked the beginning of winter and provided a point in time where homes and communities needed to be prepared and ready for the barren cold months. For some it designated the official end of the harvest season. For others it marks a time of spiritual celebration. And for others it’s nothing more than an astronomical occurrence and scientific event. But to Pagans, it marks the beginning of the 12 Days of Yule and time to honor the Triple Goddess and rebirth of the God. Each year the Sun traces out a circular path in a west-to-east direction relative to the stars (this is in addition to the apparent daily east-to-west rotation of the celestial sphere around the Earth). The two points where the ecliptic and the equatorial plane intersect creates what is known as the vernal and autumnal equinoxes. This rotation occurs again as the two points of the ecliptic farthest north and south from the equatorial plane intersect, creating what is known as the summer and winter solstices. These events divide the ecliptic into four equal parts within a year. Check out Everything you need to know: December solstice 2012 for more on the astronomical science. These cycles were familiar to Greek astronomers, but it wasn’t until Hipparchus that a method of using the observed dates of two equinoxes and a solstice to calculate the size and direction of the displacement of the Sun’s orbit was established. Hipparchus (190BC – 120BC) was a Greek Astronomer and Mathematician. His writings on this subject tell us that the Solstice was a known event not just in his time, but before his time as well. The winter solstice typically occurs on December 21. Today we can pinpoint the exact time of the astronomical occurrence which may land on December 21st or 22nd for the northern hemisphere. Ancient Peoples however didn’t have the advantage of seeing Earth from space. So they marked their solstice by observation and ancient calendars. These calendars could be based on anything from lunar to astrological or even early solar observances. Some were remarkably accurate, others may have been off by a day or more. Some may have been based on calculations that were learned through years of observations, or passed down through generations. But the most common method seems to have been through early temple or monument structures. The Newgrange burial mound in Ireland’s County Meath is surrounded by megalithic stones set in what archaeologists believe to be astronomical position to the Winter Solstice. The Stone Age monument dates to around 3200 B.C., making it 500 years older than the Great Pyramid of Giza in Egypt and a thousand years older than England’s Stonehenge. 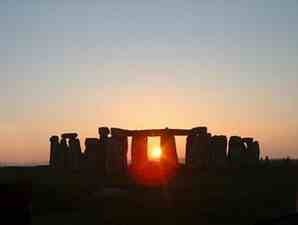 Stonehenge itself has long been associated with the solstice and equinox cycles. Once again, there is evidence of ancient people recognizing these times of the year not just from an astronomical perspective, but in terms of spiritual reverence as well. No one is really sure when the first festival or ritual celebration for this time of the year occurred. But we do know that it has long been recognized and honored in some of the worlds most reverent monuments. It would be silly to think that a point in time so important to ancient people would not have been celebrated or honored until the 7th century AD. But how did the Solstice become the start of the spiritual celebration of Yule? You can tell a lot about a word by reviewing its origins and usage at the time it was created and established in language and literature. So we should start the discussion with the history of the word “Yule”. Then we can better understand how Yule ties in with the Winter Solstice. Old English, coming from geol (Christmas Day) or geola (Christmastide). A heathen feast, later taken over by Christianity and from unknown origin. The O.E. (Anglian) cognate giuli was the Anglo-Saxons’ name for a two-month midwinter season corresponding to Roman calendar months of December and January, a time of important feasts but not itself a festival. Yule is derived into modern English from Jol deriving from Old Norse hjol, wheel, referring to the moment when the wheel of the year is at its low point, ready to rise again (compare to the Slavic karachun). Connecting the word to earlier language tells us where the words came from, but not where the holidays began until you research this last derivation. We can find clues, such as the connection between Yule to hjol in its use as the wheel of life. The wheel or cycle of life was something the early Norse pagans were very big on. So at the very least we can see the concept of Yule is much older than the word itself. For the moment let’s put aside the archaeological evidence of burial mounts, and ‘henge’ structures that were built-in correspondence to solstice astronomical observances. And focus on the legend and lore surrounding this time of year and what we know of early Indo-European pagans. Keep in mind the Norse were not the only Pagans in the early world. In Scandinavia, the Norse celebrated Yule from December 21, the winter solstice, through to January. The 13th Century Poetic Edda is a complication of stories and poems from Scandinavian history. Some of these stories are reportedly told as early 985AD. But these stories have been legend long before these writings were compiled. The solstice ride of Odin, King of the Norse Gods is one such example, and it marks the 12 days of celebration by the Germanic people who can be documented as early as the 4th century AD. Some historians place it even earlier in the 2nd or 1st century BC. In either case, it was prevalent before the Christian invasion or the Roman influences. In this work and from Snorri Sturluson’s Prose Edda we learn of Odin and his winter ride through the skies and forest lands. Along with Odin ride the great Gods of the Norse. 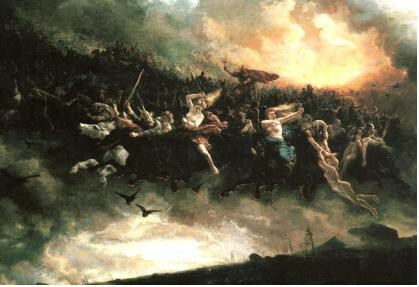 Balder, and Tyr sons of Odin, Freyr, Njord, and Thor the great god of the Sky are among the band of brothers who clash through the winter sky during the “Wild Hunt”. They begin their quest on the Winter Solstice and battle the beasts of wild boar, great elk and various other creatures for 12days and nights. The hunt is described as a crazed adventure where the Gods become so embroiled in the fights with mythical monsters or enraged beasts that they themselves go a little mad. In some Germanic traditions the story of the Wild Hunt has a softer side as the hoard takes time to rest their steeds upon the quiet earth below. Sleipnir in particular is mentioned as feeding on the grain and straw left behind in the harvested fields. Knowing the Gods would be on their hunt, children place their boots near the chimney or outside by the doorway filled with treats for Sleipnir. Odin would reward the children for their kindness with food, candy or gifts. The tradition still continues in Belgium, Germany and the Netherlands. In other Germanic countries the practice has been replaced with hanging stockings that are filled with a variety of presents. During these 12 Days of the hunt, the people of Odin would feast, dance and honor the Gods and the bounty of the hunt. Some suggest that as Odin and his brethren hunted, the people of Odin gathered the animals they killed that would sustain them through the cold winter months. This was a life-sustaining event and of course would be honored and celebrated as thanks to the Gods. Others suggest the celebrations were simply in recognition of the return of the sun. Because it is this influence that we can see most in European Paganism. The Wheel of the Year divided into 4 parts was not that far of a leap for early European Pagans. They were already familiar with honoring the solstice periods as evidenced in The Stone Age Newgrange tomb and Stonehenge. They recognized the Suns return and knew it meant fields would once again be ready for tilling and planting. Warmth would return to the world and darkness would fade. To the rural folk who worked hard during the year, the end of a lean winter was something to celebrate and the God of the Sun was something to be honored. It bothers me that such significance it put on Germanic celebrations from the 7th Century AD, when so much historical evidence points to a much older acknowledgement and reverent connection to the Wheel of The Year in early pagan Europe and Norse history and mythology as a celebration of the Gods. The Pagan Celtic lands saw invasions of the Norse and some would say the Norse had much more influence over early Celtic pagans than the Romans did. Or at the very least a longer lasting influence. While this may be true, we can’t ignore the early Celtic lore that existed prior to the invasion of both groups. For Celtic pagans, what we may call Yule today, is the time of the Winter Solstice, when the Sun God Lugh is reborn in human form to rejoin his beloved wife Eriu. She is described as a hag, who transformed into a beautiful Goddess by the marriage and personifies the land of Ireland in her every feature and character. Some suggest she is known as Yulie, but there is more suggestion that Yulie was a regional deity that came into favor after the Norse invasion. By her very name, this is a good hypothesis and shows how the Norse and Celts merged or evolved their beliefs together over time. Eriu however becomes known in legend as the “Sovereignty of Ireland”. This Solstice is also the celebration of the cycle of life through Eriu and all her incarnations as the Maiden, Mother and Crone Goddess. In these legends, Lugh takes his bride in the form of the Maiden Goddess, to look out upon their land and in seeing the suffering of their people they grow worried and concerned. The summer High Holy Day Lughnasadh is celebrated by many traditions as the moment when Lugh, as the Sacred King, sacrifices his own life to save his suffering people. In doing so his blood is spread across the fields to ensure the fertility of the fields and a bountiful harvest of crop and herd. As the harvests are brought in, and winters covers the land, the Great Mother (the Mother Goddess) resurrects Lugh from the ground, rising him up into the dark sky and returns him (as the Sun) to the universe. The effort to raise Lugh into the sky causes Eriu to grow old as she shared her knowledge with the God to teach him all he needed to know to govern over his people once more. Bestowing her Old Crone wisdom upon Lugh brings the cycle back to the beginning of the legend. To the Welsh pagans, the solstice marks the change of power between the reigning king of the year; either the Oak King or the Holly King. During the Summer Solstice the Oak King who reigned the land beneath the warm summer sun, is challenged by his brother the Holly King. As the year is waning the Holly King prevails and begins preparations to save and maintain his people through the cold winter. In order to accomplish his mission, the Holly King travels through the land to hunt, fish and harvest. He gathers his harvest in a great sled that is pulled by eight large and magikal deer. These ‘gifts’ of life are provided to the people of Ireland at the Winter Solstice and a celebration ensues to honor the gifts of the Holly King. The people provide care and comfort to the magikal deer on the first night of the festival. In return, the Holly King leaves gifts and blesses the home with abundance and cheer. Both of these celebrations show how the Ancient pagans had a strong tie with honoring the solstices throughout the year. The winter solstice bringing about the return of the sun and longer days and a celebration of the survival of cold winter months. (You can read more about Odin and the Celtic Oak and Holly Kings in The History of Santa Claus: The Winter Gift Giver). Most scholars suggest that the first influence of this winter festival began with Saturnalia in Rome. Saturnalia is the feast with which the Romans commemorated the dedication of the temple of the god Saturn. Saturn was a major Roman God and designated as the God of agriculture and harvest. Another link to the “wheel” concept. Saturnalia was introduced around 217 BC and was originally celebrated for a day, on December 17, it’s popularity grew and so did it’s length of celebration from one day to a full week ending on December 23rd. Caesar Augustus tried to shorten the holiday to 3 days, and Caligula to five days, but both efforts failed. It is now the month of December, when the greatest part of the city is in a bustle. Loose reins are given to public dissipation; everywhere you may hear the sound of great preparations, as if there were some real difference between the days devoted to Saturn and those for transacting business….Were you here, I would willingly confer with you as to the plan of our conduct; whether we should eve in our usual way, or, to avoid singularity, both take a better supper and throw off the toga. ..the best of days (Cat. 14.15). It was a time of celebration, visits to friends, and gift-giving, particularly of wax candles (cerei), and earthenware figurines (sigillaria). While the festival is a celebration to honor Saturn, it’s not clear what spiritual significance the deity enjoyed or influenced during this holiday period. These two early Roman holidays were certainly celebrated by the soldiers of Ceaser as they traveled the world to conquer other lands. And it could be from these early origins that the first influences on pagan Europe began. But they’re not the only influence. In Greece, the winter solstice signifies the time of the gathering of all the Gods on Mount Olympus. Even Hades is permitted to enter, as this is the only time during the year when he is allowed into the hall of the Gods. The event is marked by a feast and public celebration. But it doesn’t seem to play a major significant role in Greek society. The Greek equivalent to Saturn is Cronus or Kronos who is the patron of the harvest. His festival is earlier in the fall and is known as Kronia. But the Romans and Greeks share the concept of the winter festival, feasting and gift giving much like the Norse and the Celts. However it does seem fairly clear that each culture had its own version of these celebrations prior to invasions and influences between them all. At some point there is certainly an indication that each culture, region and people did, at some point, implement various aspects of the other into their own customs. But like many others, I think this merger of beliefs came later in time, and perhaps began to solidify as each group came under attack by the early Christians. For all its inputs and influences, Yule is still an important time of the year to pagans around the world today. Whither it’s referred to as the Winter Solstice or the Yuletide Season, these 12 days of celebration are the second most important holiday in Pagan traditions. In the most direct terms it is still a festival that honors the cycle of nature and the Wheel of the Year. It is not just about the rebirth of the God figure in pagan lore. Yule is a 12 day holiday, it begins on “Mothers Night” (December 21st) and ends 12 days later on “Yule Night” (January 1st). It’s the origin for the Christian “12 Days of Christmas”. Over the evolution of paganism, these legends have developed into various rituals and observations within the pagan community. One of the more detailed or organized observations is closely related to the Celtic legend of Lugh, Eriu and the 12 Days of Yule. These festival celebrations are observed from sunset to sunset. In addition to honoring the Divine aspects of the Universe, this is also a time to go within and align one’s soul to the Divine and review their spiritual mission and lessons. It’s not simply a time for reverent honor of the Divine, but for putting the gifts the Divine brings into practical manifestation in your life. Many enjoy gathering in a circle for a reverent service honoring the Divine aspect or a particular deity of their choice. After the gathering a feast is prepared and shared, ensuring a plate and drink are offered to the God/Goddess or however they view the Divine. After the feast, a celebration of dance and song occur, typically around a bonfire. Of course these are general celebrations and they can be conducted in a variety of ways. But the Solstice / Yule celebrations are still practiced by pagans around the world. There is much to the symbolism of Yule. Revolving around harvest and livestock, this was a time of honoring the sun and thankfulness for the bounty that is sustaining the family through the cold. The first direct reference to the Yule log can be found around the 17th century. The Old Norse ‘jol’ seems to have been borrowed in Old French as ‘olif’, which gave way to the Modern French ‘joli’; “pretty, nice,” originally “festive”. In Scandanavia, Old Norse pagan fathers and sons would bring home large logs, which they would set on fire in the center of their village. The people would feast until the log burned out, which could take as many as 12 days. Some suggest this is the significance or origination of the 12 Days of Yule. But it doesn’t take into account the earlier Norse and Celtic legends. The colors of Yule, red, white and green come from the Holly Tree and honoring the Old King in Celtic lore. The red and green of the holly tree is evident. The white some say is also found in the holly flowers, while others suggest it’s the winter snow. in the courts no wassail, as once was heard. When fine ales replaced the wine, more people could afford it and recipes varied according to the means of each family. Though usually prepared for immediate consumption, wassail sometimes was bottled and allowed to ferment. By about the 1600s, the practice of taking a wassail bowl about the streets had taken root. Instead of consuming the punch-like concoction at home, wassailers went house to house offering a warm drink and “going Wassailing” was born. In Europe, Pagans did not cut down evergreen trees, bring them into their homes and decorate them. That would have been far too destructive of nature. The forests were needed to protect their villages and homes from the hot sun in the summer and the cold winds in the winter. Instead, they would cut boughs of evergreen trees, mistletoe and holly branches and bring them into their home or temple. These cuttings would be decorated and displayed as symbols of the season. They were also thought to hold great magik as they remained green through the winter months while other plants and trees turned brown and “died”. Not having evergreen trees, the ancient Egyptians considered the palm tree to symbolize resurrection. They decorated their homes with its branches during the winter solstice. The ancient Pagan Romans decorated their “trees with bits of metal and replicas of their god, Bacchus [a fertility god]. They also placed 12 candles on the tree in honor of their sun god”. Their mid-winter festival of Saturnalia started on December 17th and often lasted until a few days after the Solstice. In Northern Europe, the ancient Germanic people tied fruit and attached candles to evergreen tree branches, in honor of their god Woden. Trees were viewed as symbolizing eternal life. This is the deity after which Wednesday was named. The trees joined holly, mistletoe, the wassail bowl and the Yule log as symbols of the season. All predated Christianity. Sharing presents can be found in nearly all these ancient myths and legends. From gifts given by Odin as a thank you or as a blessing upon his people, to the gifts of the Sacred King/Holly King to his people for their survival through the winter months. Each culture has some form of Santa Claus and an exchange of gifts, which include stockings or boots filled with candies and treats. The History of Yule is vast and wide spread. Today no celebration is based purely on one practice or belief, but rather they are a culmination and evolution of observances. What ever your choice of holiday celebration and festivities, I hope you have a wonderful and merry season filled with joy, laughter, health and abundance. And Happy New Year Too! 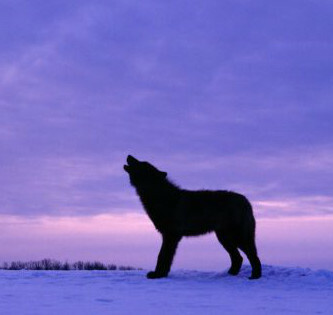 © 2012-2018 Springwolf, D.D., Ph.D. Springwolf Reflections / Springs Haven, LLC. All Rights Reserved.